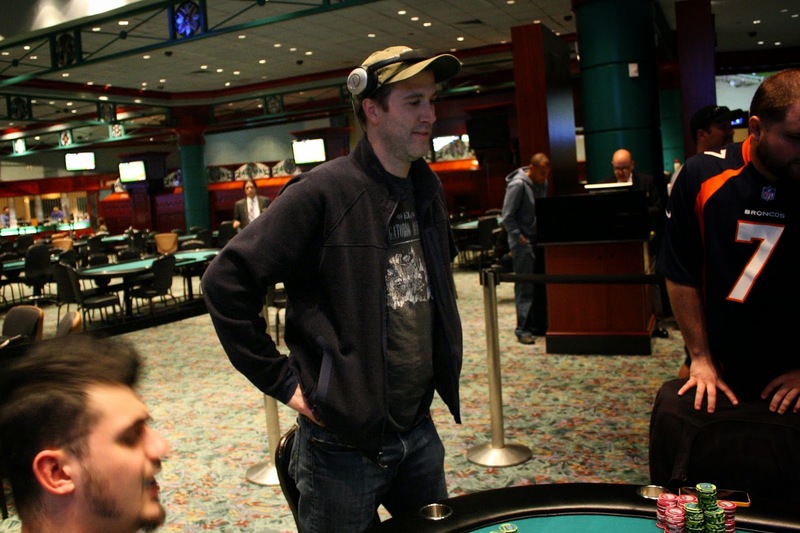 After starting heads up as the shorter stack, Michael Shea made a comeback to have Nick outchipped. Nick doubled through him once, but that was the only time. On the final hand of play, Michael flopped the nut flush with [As][2s]. 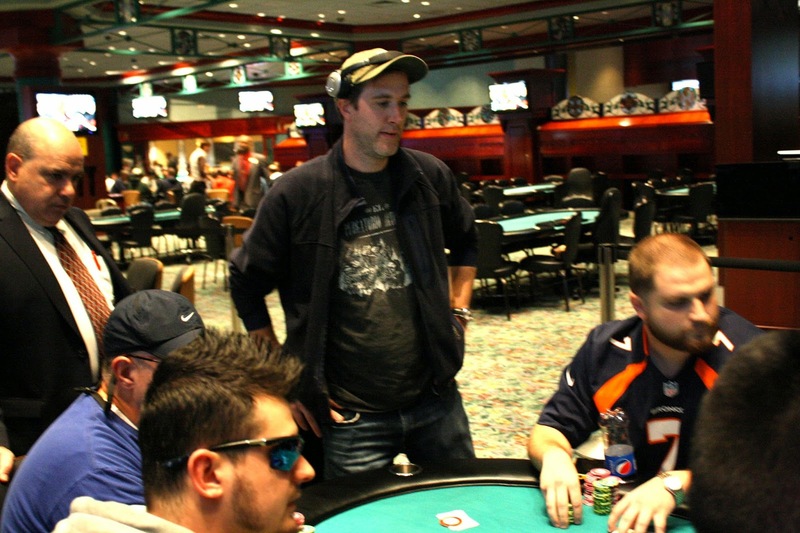 The two players made it all the way to the river, when Nick checked and Michael moved all in. Nick talked it out out loud and said Michael could only have flopped a flush the way he played his hand. In the end, Nick called all in and was indeed shown the nut flush. Nick mucked, and Michael Shea will win the tournament. He will collect $30,939 along with the World Poker Finals trophy and watch. Congratulations, Michael! We saw two big hands since Michael Shea and Nick Palma got heads up, and each player doubled through the other. 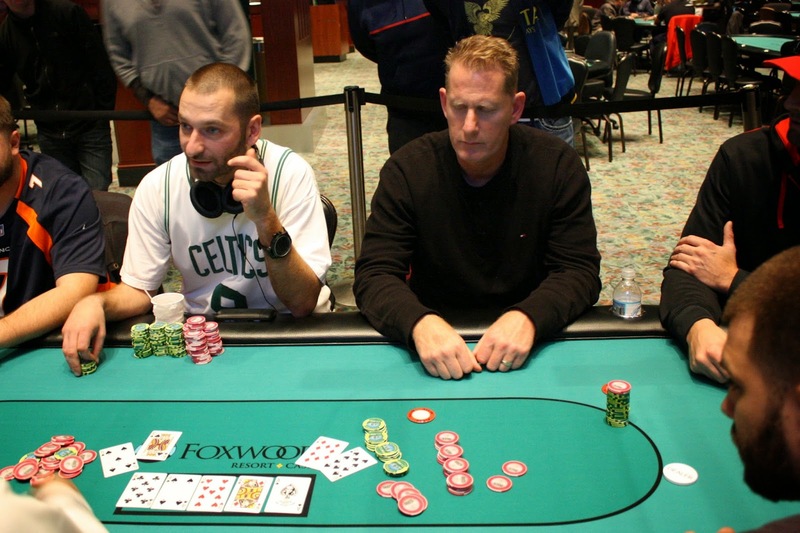 On the first hand, Nick Palma 3-bet and Michael made the call to see a [6d][Ks][2s] flop. Michael check called a bet from Nick, and on the [8d] turn Michael was all in against Nick. Michael had flopped top pair with [Kc][Jh], but Nick had outs with his [As][Qs]. 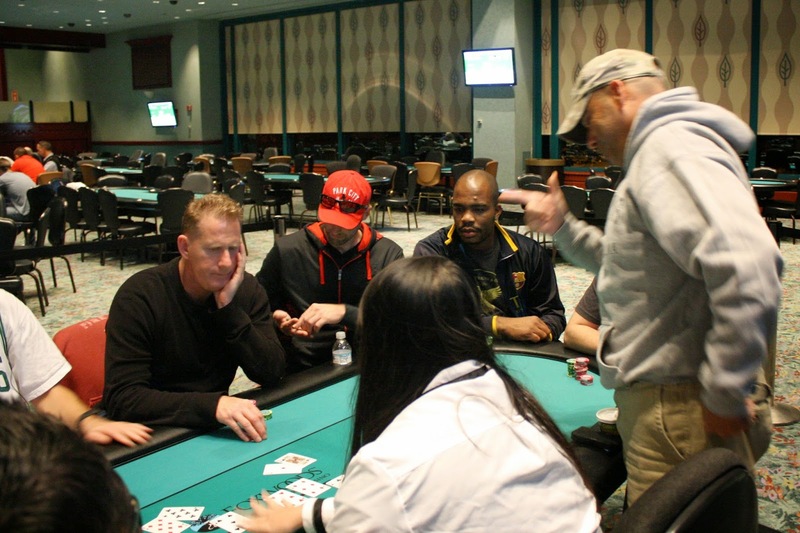 The [Qd] hit the river to miss Nick's flush draw and overcard, and Michael will double up. A few hands later, Michael opened the button and Nick moved all in. Michael decided he was priced in and called with [8c][7s] but was in pretty bad shape against Nick's [Js][Jh]. The [2d][Td][6c] gave Michael a gut shot, and the [8d] turn gave him extra outs to hit two pair. But the [2s] hit the river to double up the birthday boy. 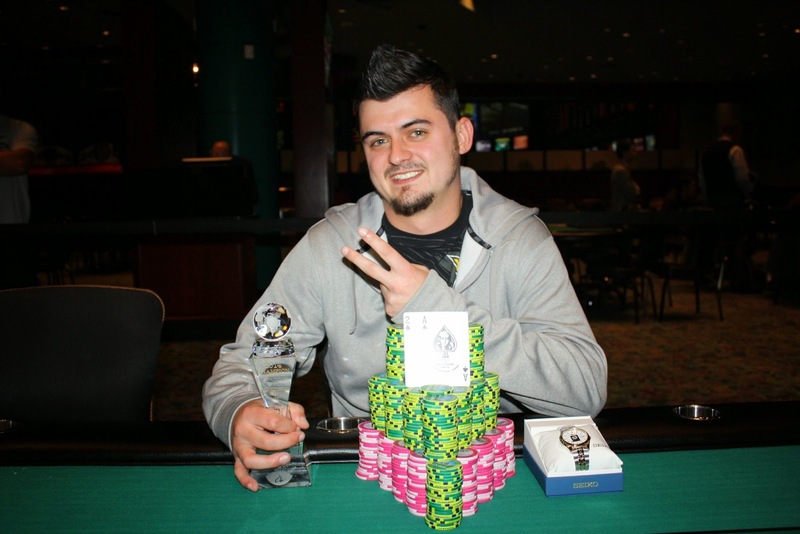 Sotirios Tsiantoulas was all in from the button and Michael Shea called all in for less. Sotirios was in bad shape with [5s][5d] against Michael's [9d][9c]. Sotirios failed to produce a five on the [Qd][Qc][4c][Ks][2c] board, and he was crippled down to just a few chips. 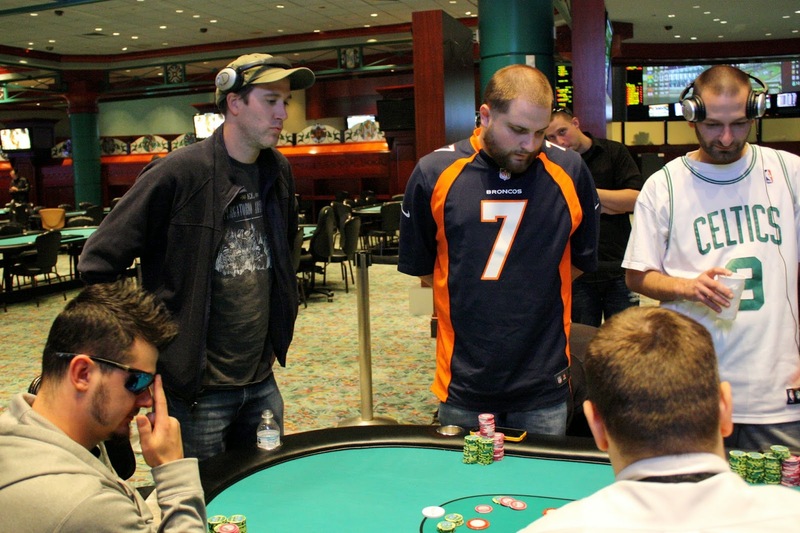 He was forced all in on the big blind, and Nick Palma limped the button and Michael Shea completed his small blind. The two live players saw a [2c][4d][Jc] flop, and action went check check. The [7c] saw Michael check-fold to Nick's bet, and Nick revealed the [Qc][4c] for a turned flush. Sotirious squeezed his cards for the first time and tabled [Tc][6h]. He was drawing dead and will exit the tournament in 3rd place, good for $13,570. 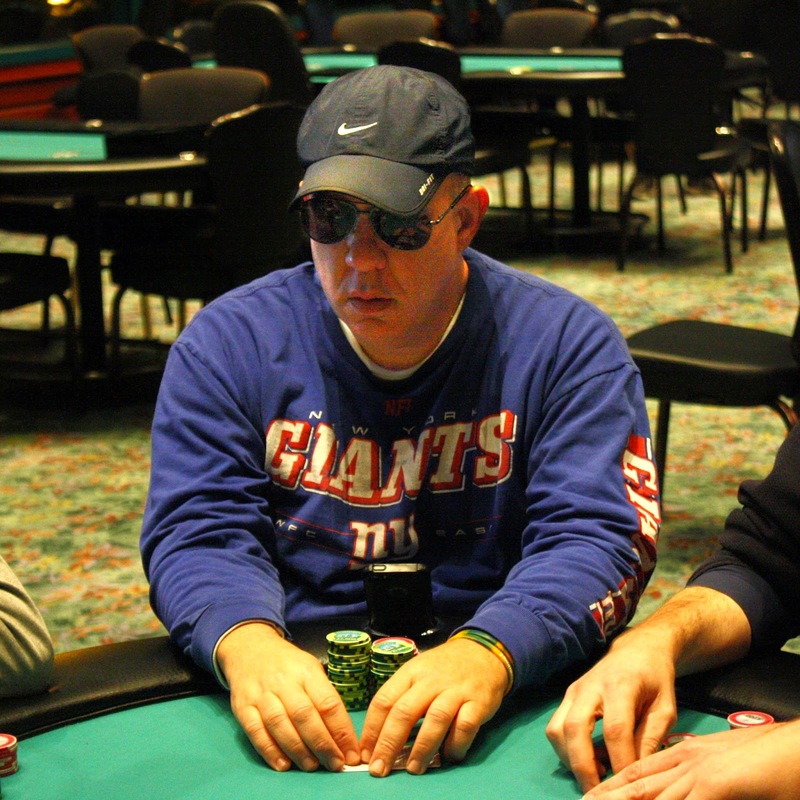 Giedrius Bagdonas moved all in from the button and was snap called from Nick Palma in the big blind. Nick tabled [Ad][Qh] and Giedrius turned up [Kh][8s] proclaiming, "At least I'm live." The [8d][Kd][Ah] gave Giedrius two pair, but Nick had a draw to a better two pair or trips. 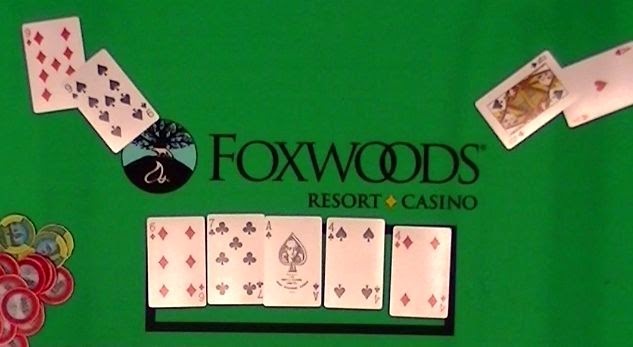 The [4d] opened up even more outs for Nick as he could catch a diamond to make a flush. 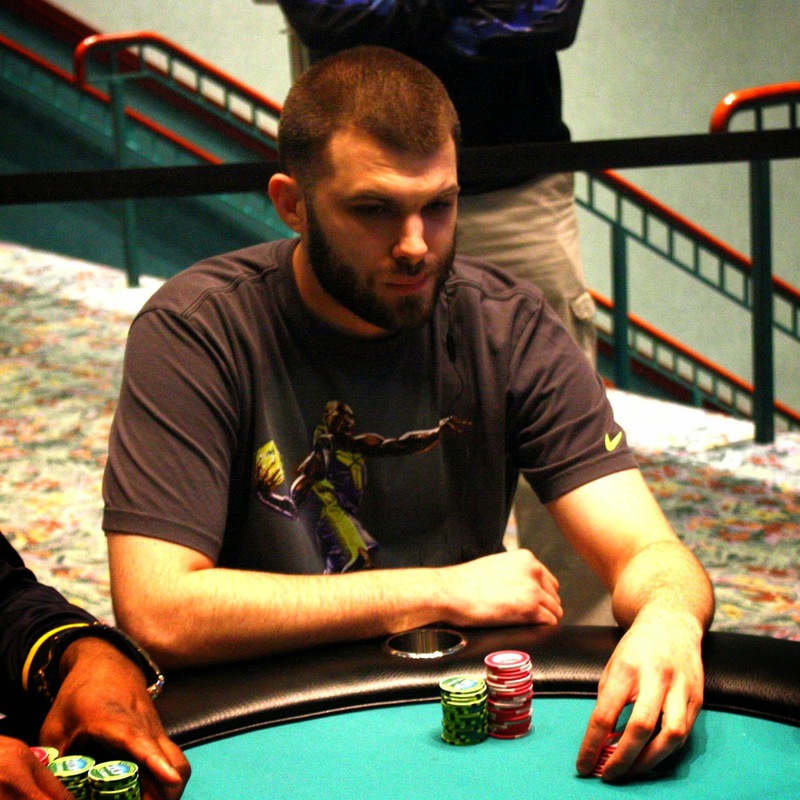 The [5d] river gave Nick the nut flush, sending Giedrius to the rail in 4th place. He will collect $10,173 for his efforts. Only a few hands after losing a flip with pocket nines, Michael Shea showed up with the same hand. 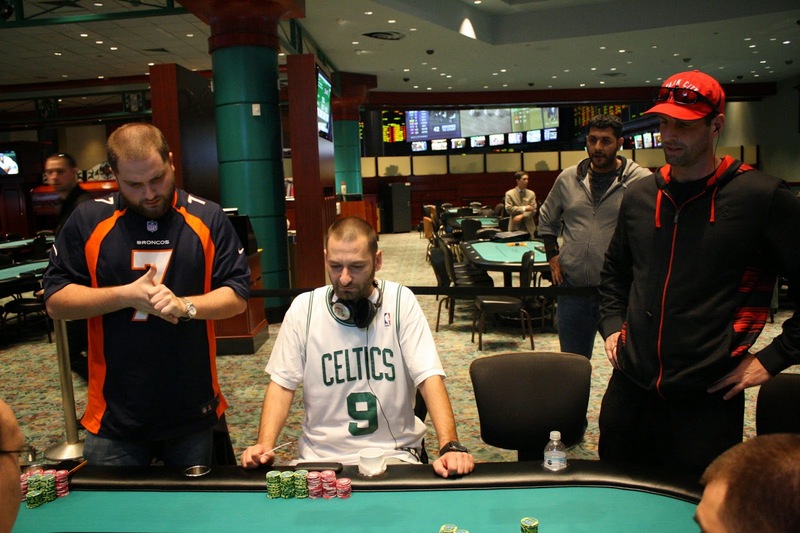 His [9s][9c] had Nick Palma's [Qd][9d] dominated, but the [Th][Jd][4s] flop gave him a bit of a sweat. The [2c] turn changed nothing, and the [Ah] river gave Michael the winning hand. He doubles up to 1,700,000. 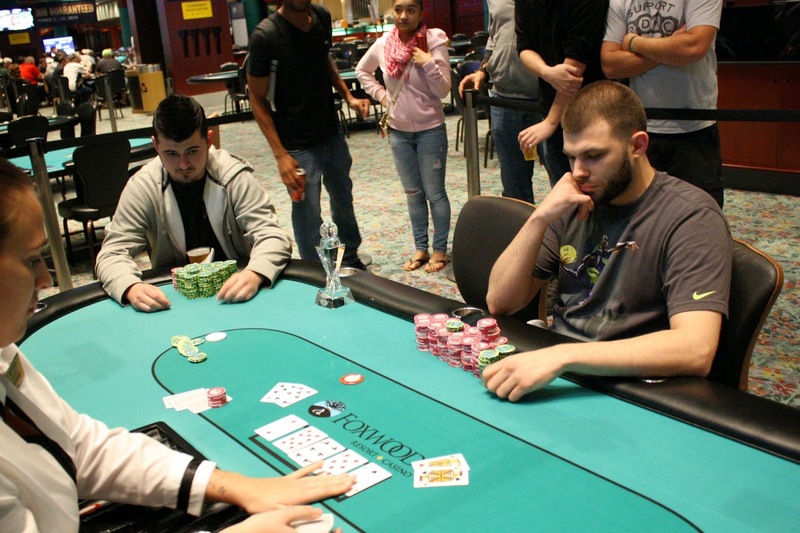 Michael Shea raise preflop and Sotirios Tsiantoulas moved all in. Michael made the call and revealed the [9s][9d] which was racing against Sotirious's [Ah][Qs]. 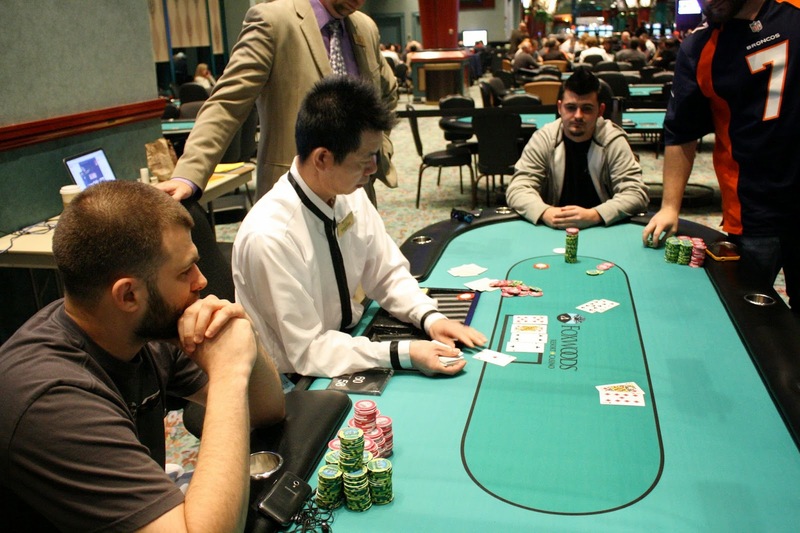 The [6d][7c][As] flop paired Sotirios, and the [4s] turn and [4d] river kept the aces in front. Sotirios now sits on 2,100,000. From under the gun, Giedrius Bagdonas raised before Brendan Wiley moved all in on the button. Action folde back to Giedrius who said, "This is a bad call, I call." It indeed turned out to be a bad call as Giedrius's [As][9s] was dominated by Brendan's [Ah][Ts]. 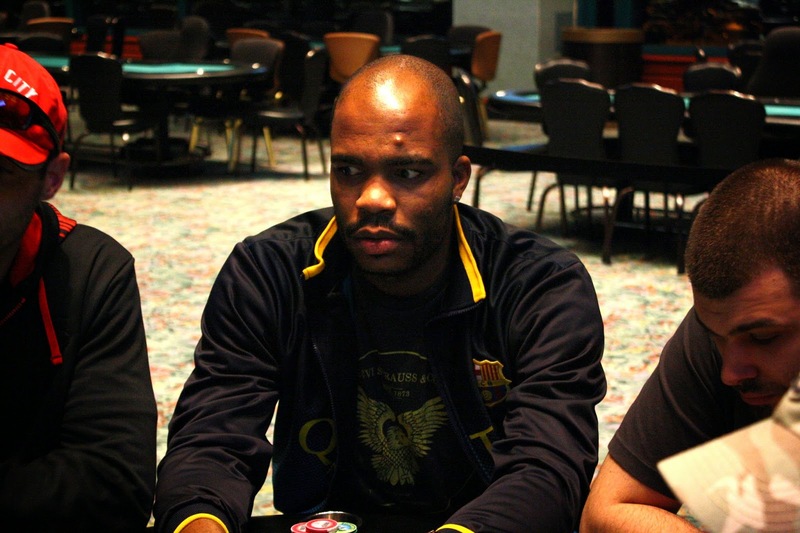 The worst hand once again came from behind as the dealer spread the [Qd][9c][Qc] flop, putting Giedrius in front. Brendan would need a ten, but he failed to find it on the [6s] turn and [Kc] river. That beat will send Brendan to the rail in 5th place, good for $7,583. 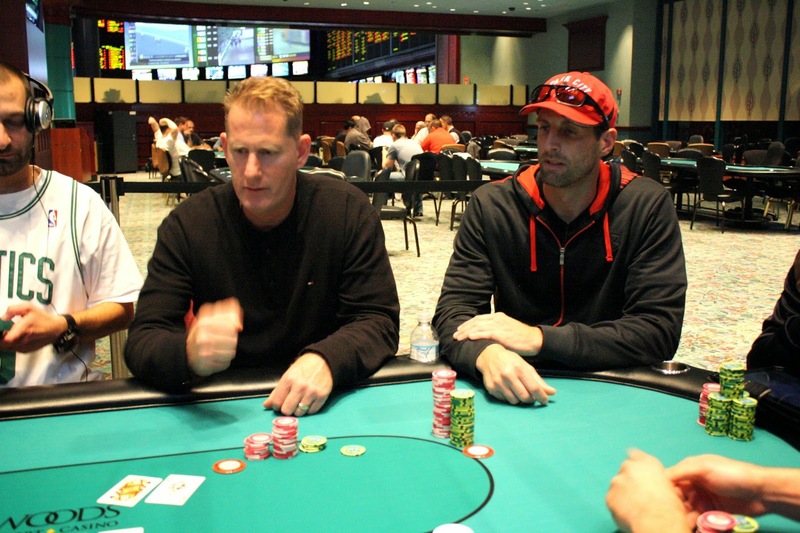 Mike O'Grady moved all in after a raise by Nick Palma. Nick was priced in and made the call with [Jc][Tc], but was only 19% to win against Mike's [Kd][Kc]. The [3c][7d][Qh] flop was as safe as it could be for Mike, but the [9c] turn spelled disaster for him. Now Nick had 14 outs to a flush or a straight. As it it's Nick's birthday, he was gifted the [8c] on the river to give him the winning flush. 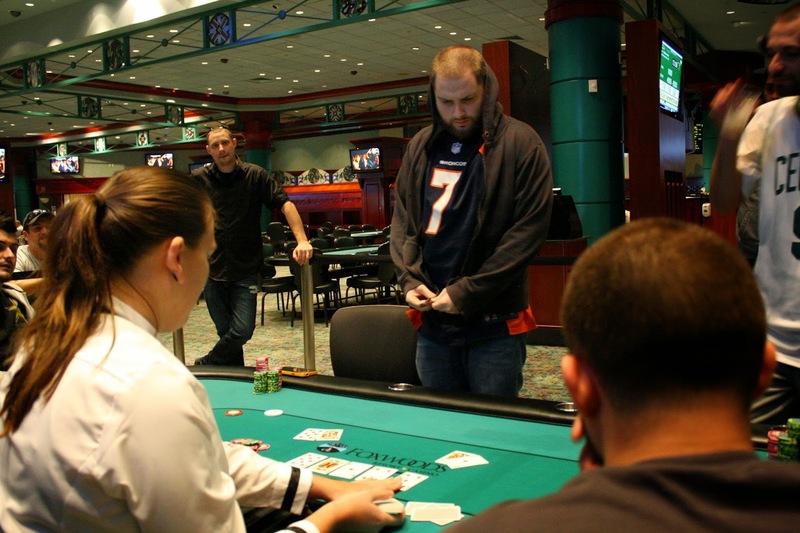 Mike will be eliminated in 6th place and will collect $6,067 for his efforts. Michael Shea raised under the gun and action folded around to Linsford Geddes in the small blind who moved all in. 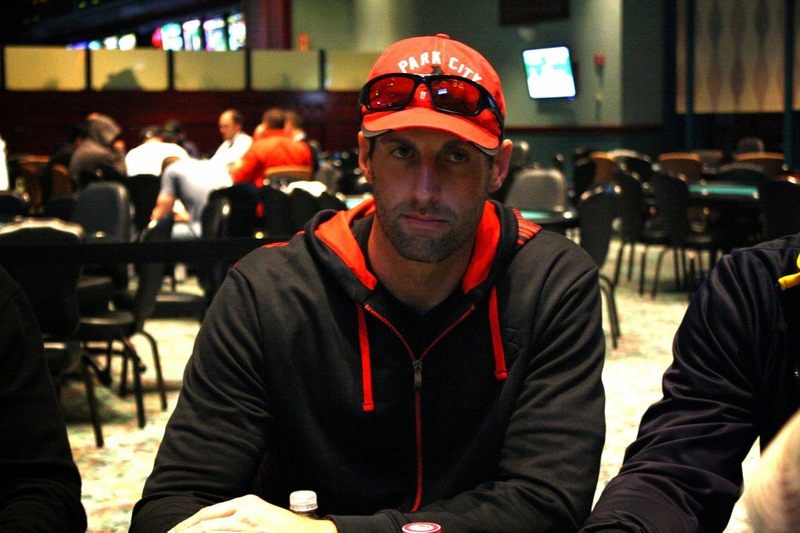 Nick Palma folded the big blind and Michael made the call. As Lisnford said, it was a cooler, and he would need to catch an ace to survive. It was not to be as the board fell [4d][Js][5c][7s][Ts], sending Linsford to the rail in 7th place. He will collect $5,028 for his efforts. Mike O'Grady moved all in preflop from the button and Giedrius Bagdonas moved all in over the top from the small blind. In the big blind, Sotirios Tsiantoulas thought about it but eventually folded. Mike would need a bit of luck as he held [Jc][8h] to Giedrius's [Ac][5s]. He found that luck on the [Th][Jh][7s] flop, and the [Js] left Giedrius drawing dead. The meaningless [Ts] fell on the river to give Mike the doubleup. He now sits on 700,000. Brett Brucaleri effectively moved all in from early position and Nick Palma called from the big blind, having him slightly covered. Brett had ace nine and was in bad shape against Nick's ace queen. No nine came, and Brett will finish this tournament in 8th place, good for $3,911. Dennis Wilber was once again all in against Brendan Wiley, but this time Dennis wasn't a 50/50 to win. Dennis held the [Ks][5s] against Brendan's [Ts][Td], but couldn't find a suckout as the board ran out [8c][4s][9h][Qd][As]. 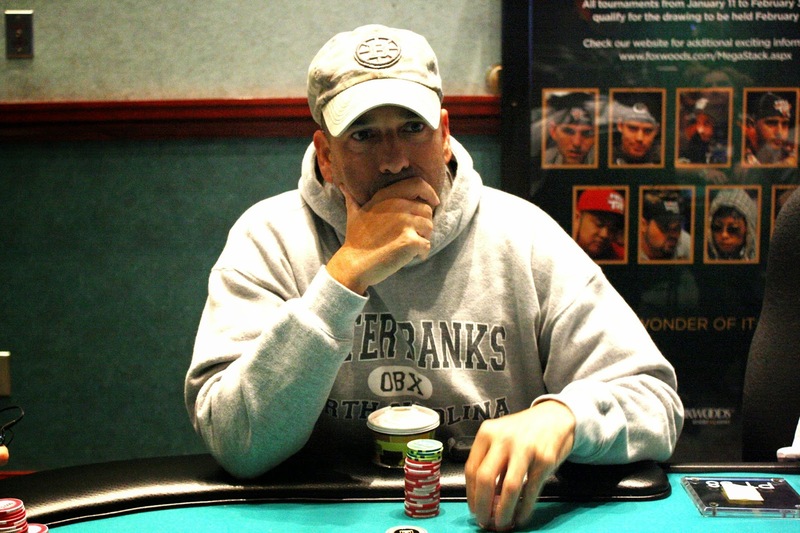 Dennis will collect $3,070 for his 9th place finish here today. 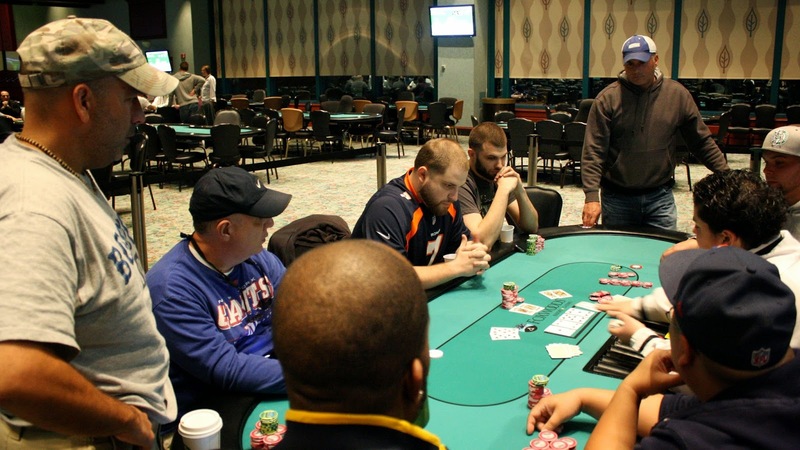 Mike O'Grady moved all in preflop and Giedrius Bagdonas made call directly to his left. Action folded around to Linsford Geddes in the big blind who didn't realize Giedrius had called. Linsford made the call and accidentally exposed his hand, even though action was pending. The flop fell [3s][Kd][Qd] and both Linsford and Giedrius checked. The turn fell [4h], and Giedrius moved all in after Linsford checked. Linsford mucked, and Giedrius revealed the [9h][9d]. Mike was all in with [Kc][5s], so he would triple up if he could dodge a nine on the river. The river was the [Th], and Mike would survive. After the hand, it was ruled that Linsford would receive a one round penalty for exposing his hand with action pending. Two hands in a row we saw a coin flip, this time with Dennis Wilber all in holding [5s][5h] against Brendan Wiley's [As][Qs]. Again the pocket pair held up when the board ran out [9h][7d][Jc][2s][Js]. Dennis now sits on 575,000. On the first hand back from dinner break, Sotirios Tsiantoulas opened for a raise preflop before Rick Buttrick moved all in. Sotirios made the call with [8d][8c], and Rick was flipping with his [Ad][Ks]. The board ran out [5s][2s][6h][6d][3c] to keep the eights in front, sending Rick to the rail in 10th place. He will earn $2,219 for his efforts. With the elimination of our 11th place finisher, the final table in Event #8 $300 NLH has been reached. 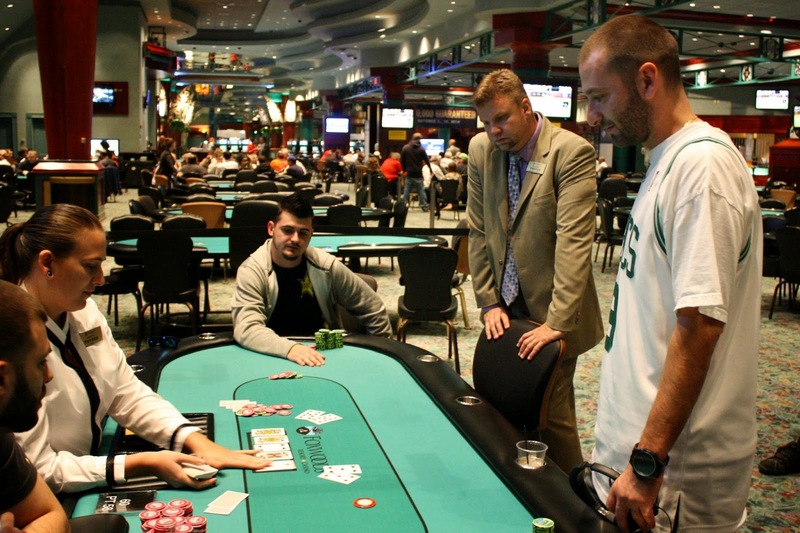 Players are redrawing for seats at the final table and are taking their 45 dinner break. Play will resume at approximately 8:15pm EST, and they will finish out the final 15 minutes of 25,000/50,000 blinds with a 5,000 ante. We saw a three way all in confrontation happen on the feature table. It was [Kd][Kc] vs. [Qs][Qh] vs. [8s][8h]. The [Ac][4d][7c] kept the kings in front, but the turn changed things a bit when it fell [5c]. Now the [Qc] and the [8c] were no longer outs, but the eights picked up a gutshot straight draw. The river was a blank, and the player with kings tripled up, while we lost one player. Alex Peterson has been eliminated when his ace-queen lost a race to pocket sixes. He will be our 19th place finisher, and the final 18 are taking a five minute break while the tournament staff sets up to redraw them to the final two tables. The final 3 tables have been reached in Event #8 $300 NLH. Still in the hunt are birthday boy Nick Palma, Alex Peterson, and Fred Paradis, among others. With the elimination of our 73rd place finisher, the remaining 72 players are now in the money. All players are guaranteed $558. Cards are in the air for Day 2 of Event #8 $300 NLH. There were a total of 633 entrants for this event over the four starting flights and the remaining 121 players combine today into a single field. The top 72 players will be in the money, and first place is $30,939. 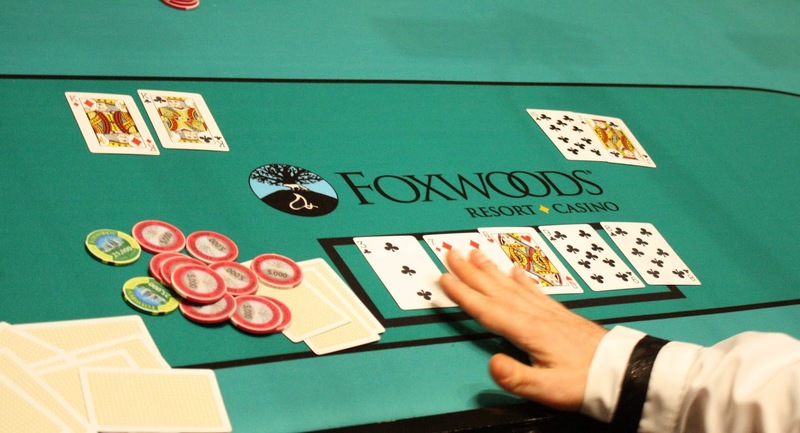 Watch our feature table at www.FoxwodsLive.com as we play to a winnner today.